Based on my Classic P90 pickups, the Classic '53 has a lower vintage output, less attacking pickup but with a wide dynamic range. This is my brighter P90 similar to those old pickups of the early '50s. Fatter in tone than a single coil. Still with that fat P90 sound, great for warm clean tones part way between a single-coil and humbucker the Classic '53 P90 pickup won't drive an amp as much as my Classic '57 P90. The Alnico 2 being a slightly weaker magnet than the 4 or 5, gives a warmer, more vintage style tone. A great P90 pickup for those jazzier sounds. Alnico 4 is a little clearer than the Alnico 2 but ever so slightly warmer than the Alnico 5. The Alnico 5 magnets give a great bright P90 single-coil attack. The Classic '57 P90 is higher in output than my Classic '53 giving that large fat P90 full-bodied drive & tone yet still keeping the warmth with real attack, grunt and definition. A great lead P90 sound for a bridge position pickup, sweet warmth in the neck. Single conductor, braided shield lead wire. 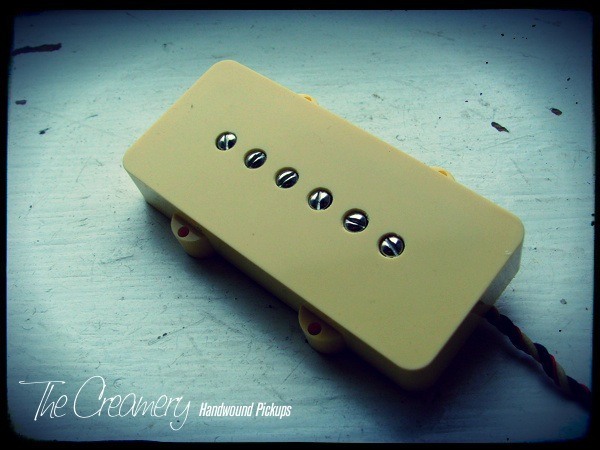 Available in black or cream P90 pickup covers, dog-ear or soapbar. For a set I'd reccommend an Alnico 2 in the Bridge & Alnico 4 or 5 in the Neck. Single conductor, braided shield lead.